In the world of curly hair, there are so many products to choose from. 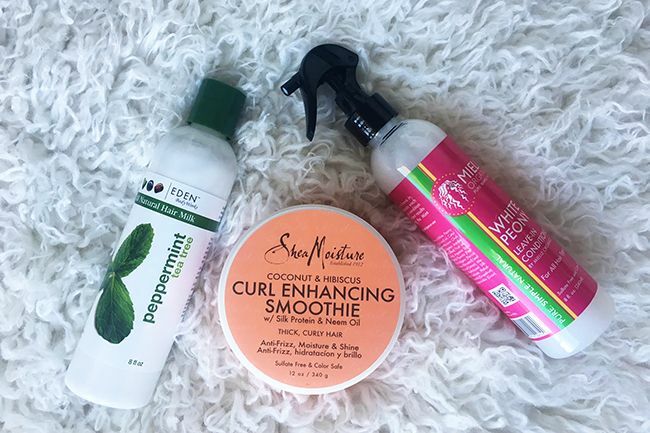 Nowadays, it seems like there are products released every month filled with promises such as defining curls, preventing shrinkage and providing long-lasting moisture. At times, it can be overwhelming finding a product that works for your hair type and you may feel the need to purchase every single product. So, how do you determine which products are worth trying without breaking the bank? Ask yourself , what are the ingredients? What does my hair need? There have only been a few times when I exceeded my pricing threshold with products. Why? Because the products had quality ingredients and that was a major selling point for me. What is the quantity, does the price reflect the size? Do you have anything similar in your current inventory? Does this product have what your hair needs? Are the ingredients compatible with your hair texture and skin? What do other curlies think? Reviews can be helpful when you are not sure if you should purchase a product. I prefer selecting reviews from curlies that have the same hair type as mine. I am able to relate to the review more since our curls are similar and the product may respond to my hair the same way. I really enjoy detail orientated videos, tutorials and written reviews. What makes this brand stand out? Brand reputation is also an aspect when I am purchasing a new product. In my current inventory, I usually purchase products from the same brands because they help my hair thrive. When purchasing your products, think about you recent patterns. Are you purchasing from the same brands? Why do you enjoy this brand? What makes this brand stand out from others? For my products, I enjoy purchasing from a handful of brands due to ingredient selection, quantity of product, and accessibility to their product. I am currently in my 4th year of my natural hair journey and I'm thrilled that my product junkie days are over. After much trial of error, I finally learned which new products are worth trying for my curls. Are you a product junkie? How do you distinguish if a product is worth trying? Please share with the curly community.